HERSHEY'S Giveaway!! 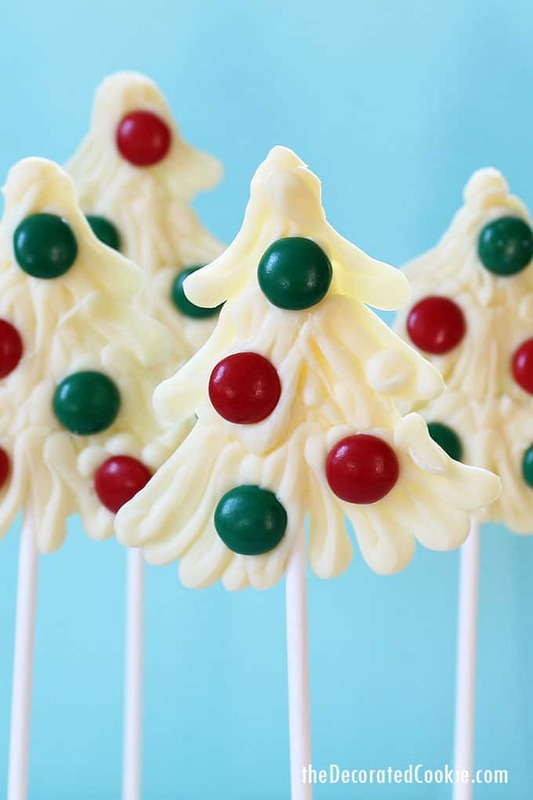 And chocolate Christmas tree pops. How has it already been three weeks since my fabulous trip to HERSHEY’S headquarters? Sigh. I miss Hershey’s. The luxury hotel room, the spa, the royal treatment, the excitement of working with the wow-amazing crew in the HERSHEY’S test kitchens. Oh yeah, and the chocolate. So very much chocolate. At least I have the chocolate in my kitchen. 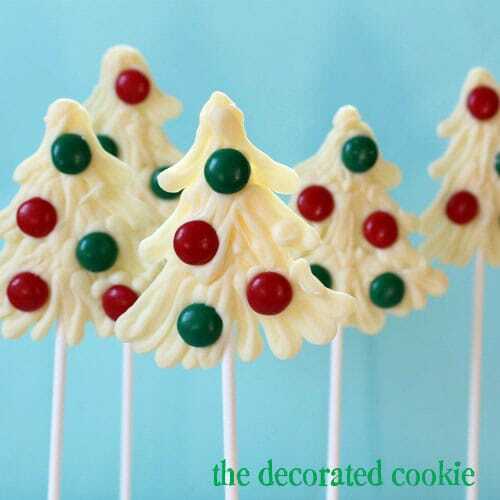 Oh yeah, and I’m going to show you how to make some simple chocolate Christmas tree pops. My latest chocolate adventure is a super-easy one. What with this baby coming in six days (yeah, SIX days), everything I’m making falls under the category of “super-easy.” Chocolate Christmas tree pops. Quick and yummy. 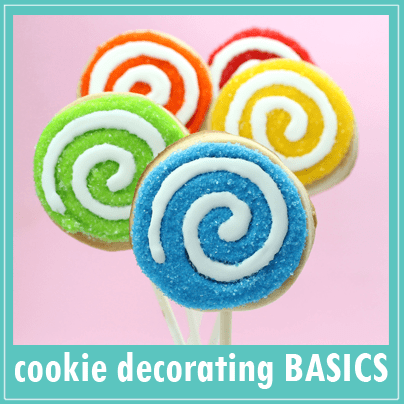 *Find the disposable decorating bags and lollipop sticks (6-inch is best) in the craft store. Line a baking tray or trays with wax or parchment paper. Place ½ to ¾ cup of Hershey’s white chips in a decorating bag. Microwave at 50 percent power for 1 minute, 30 seconds. Massage the bag and continue to microwave at 30 second intervals until the chocolate is melted. Massage the bag to remove any lumps. TIP: Close the top of the decorating bag with a rubber band, if you like. Snip about 1/4-inch from the tip of the bag. Pipe a dot on the baking tray, place a lollipop stick on top, then pipe a tree on top of the stick. Don’t worry about precision! I just piped back and forth to make three rows of “branches.” Immediately press the green and red Hershey-ets into the chocolate. Fill the rest of the tray(s) and refrigerate until firm, about 2 hours. Visit HERSHEY’S Kitchens for tons of recipes and craft ideas. 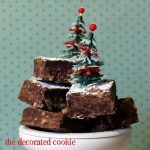 And if you need more inspiration, I’m collecting holiday goodies made with HERSHEY’S on a Pinterest board. HERSHEY’S apron, cookie cutters, recipe cards and baking products. Leave a comment to this post before Friday, December 7th, 2012, midnight, EST. Prize ships directly from HERSHEY’S to US addresses only. include the link and I’ll add to my Pinterest page, if you like. the trees are so cute! and so exciting that the baby is practically here! This is a brilliant idea!! Looking forward to baby pics! Those cookie cutters are so cool!! 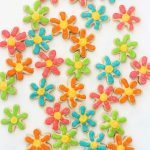 These would make cute cupcake toppers, or nice decorations for a cookie tray! I would love to win this. Such a cool giveaway. What a fun prize for the holidays! I love Hersheys. How fun. This is cute! My three-year-old girl will definitely volunteer for a sous-chef. How can she not want to make these pretty trees? This is a wonderful idea! Going to have to try it with my granddaughter! Thanks! I love these cute Christmas Trees, I just got an idea to make some of these and put them on my x-mass tree instead of candy canes. Thank you for all your ideas they are marvelous. anything made with hersheys is a sweet treat! Wow–those look great! Adding them to my “to do” list before I get too busy! Thanks! I LOVE using Hershey products to bake and I love the kisses to eat!! Love this idea and can’t wait to try it!! Wow. You’re making ANYTHING at all 6 days before the baby is here? You are awesome. Those trees look super easy – something even I could do! We love Hershey’s chocolates! We use so many of their products in our holiday baking! This is a fabulous giveaway! Blessings.. The Christmas Tree Pops are such a cute idea! Can’t wait to see pictures of the little one! I love the unique look of these and think I might actually be able to make some. These trees are super cute!! They are just the perfect thing for the season. I love Hershey’s products! The cookie cutter is super cute & I’d love to win this prize! The trees look so amazing. I can hardly wait to try them. Thanks! Those trees are SO cute and I LUV white chocolate!! I would skip the sticks and just make little tree candies!! Cute idea…and I could actually do it! 🙂 I would love to win this giveaway!! I love Hersheys! Best wishes for you and your new little one. Really simple and cute idea. The kids will love it. The cookie cutters are awesome! Great giveaway! You are a FLIPPING GENIUS!!!!!!! 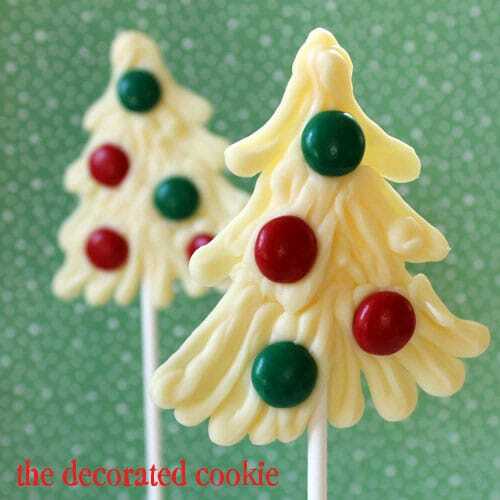 What a cute little chocolate Christmas tree – making them into chocolate pops is fantastic! I love the apron and cookie cutters. The trees are so cute and I can’t wait to make them. Cute trees, I will be using your sugar cookie recipe for the kids to decorate this year, last year used prepackaged stuff, no one would eat the cookies. yuk! Thanks! Too Cute! I’ll be making these!! These trees are so cute! I have put them on the to-do list. What a great idea! I think I’ll have to make these for my holiday party! I love baking, especially for the holidays. Thanks for the chance to win these goodies! What fun Christmas pops! Can’t wait to try them!!! And a great giveaway, thanks! Lol- I just made some green trees similar to this- but I LOVE using the white with the red and green candies- that is super cute! Congrats on the baby coming in just a few days!! And thanks for the chance to win this cute prize pack- I adore those hershey kiss cookie cutters. I bet there are some cute Valentine’s things that could be done with those. Love the trees & your website! Chocolate!! I love chocolate!! This is a fun little giveaway! Love those and LOVE Hershey’s. Thanks for the chance to win some goodies! I love your simple tree idea! I am doing that this week with my kiddos! I just bought your book and can’t wait to make some of the cookies with my granddaughter. Of course chocolate would be good too! Hershey’s has been part of my baking family for many years. The chocolate chips are the best. I love those cookie cutters…and the chocolates. Who doesn’t love yummy chocolate and cookies!? I LOVE herseys! i hope i win! Im going to make these tress for my daughter class! I love Hershey’s! They have the best recipes. I found one yesterday to try, a macaroon with a kiss in the middle. You are amazing!! Love Hersheys! Such a fun giveaway, I love the cookie cutters!!! 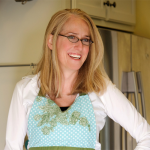 Just found your blog, and you’ve ramped up my Christmas cookie/cutter/baking excitement! You’re in My Favorites forever! Those look like so much fun! And we love chocolate around here! Love those! So fun and easy! I think both my kids will enjoy making these for gifts for their teachers! Chocolate!!! Yum! Thanks for the chance to win this! My mother is a chocoholic. If I won, I would give this to her. Anything Hershey is going to be good! I’ll be saving this idea. What a great, and simple idea. I wish I had seen this when I was a scout troop leader. The girls would have loved making these. The trees are so cute. I love the giveaway, I could really use some chocolate right now. I love the Hershey kiss cookie cutters. The tree pops are really cute. They look like so much fun and easy to do. Thank you also for this sweet giveaway opportunity. Hope I win; as I’m in need of some chocolate chips and used up the last of my cocoa this morning. Those Hershey kiss cookie cutters are adorable! Would love to go take a tour at headquarters…sigh. Love the trees. I had a blast when we went to visit Hershey and would be thrilled to win all the Hershey goodies. I love your trees. Thanks for the chance to enter. I can’t wait to do this for a little girls Christmas party this weekend!!! Super cute and my girls could help do those. Thanks for the giveaway. Those cookie cutters are too cute! Those piped trees are gorgeous! I am thinking to make those for our annual holiday party. It would make such an elegant display to have a whole bunch of those all propped up on a decorated styrofoam box…kind of like a winter wonderland forest! Would love to try the hershey’s white chips as well! Thanks for the inspiration! I really like the trees – and they sound so easy to make! I’m so jealous! I sooooo want to go to Hershey! Thanks for the fabulous giveaway. That is one of the easiest Christmas Tree treats I have ever seen! I can’t wait to try it! Super fun giveaway, too! So exciting! Those melts and cookie cutters look like one fun and messy baking day! I’m so glad that I found your blog…I have such fond memories of Hershey Park. Best of luck with the baby! I love this idea and I love Hershey’s! Nice giveaway. Chocolate chips are a staple in my kitchen! Those trees are so stinkin’ cute!!! 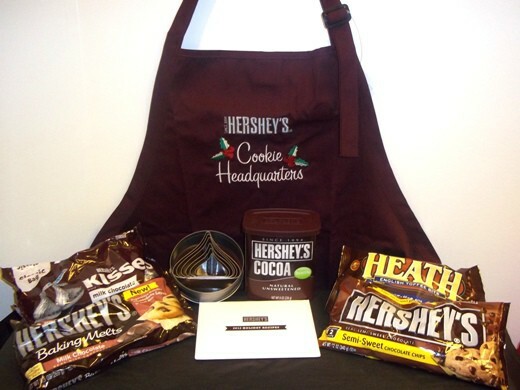 Awesome giveaway, I am a totally Hershey’s fan! These trees are adorable! I’ve got to make them for Christmas this year, and I LOVE white chocolate (even though they say it’s not really chocolate!) 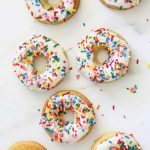 My nieces and nephews will love these…so will my boys for that matter! And that apron is cute. Would love to win this giveaway. Heya! Love these trees!! We spoke last year about you guest posting on the blog I didn’t manage to start yet…January this year for sure! But I digress…I would love for you to join my Santa’s Christmas Cookie Exchange board on Pinterest! Please watch for your invitation!! Love your stuff as always!! What a nice giveaway! I always love to bake cookies every Christmas and take them all around to my neighbors with a card. I ecspecially love those cookie cutters. They are so cute! Trees are super cute! Thanks for a chance to win! Awesome give away! I’d throw my diet out the window in a second if I won all this! So fun! Wow, I’m going to make these next week. Great giveaway. I love Hershey’s chocolate and those trees look like something even I could do. Congrats on the baby!! Those pops look amazingly yummy! What a great idea! As for the giveaway, thanks so much! I love the kiss shaped cookie cutters! Adorable! These are so cute. Congrats on your soon to arrive little one. I love the Christmas trees. They are so cute. 🙂 And I’m excited about the giveaway. What a great idea! I love the trees. And, these are so perfect…and I’m all about easy, even when not expecting a baby. I would love to win this. Please pick my number!! I was in search of a quick treat for work for this Friday. With company coming in and having no time to make something elaborate, these are going to fit the bill nicely. thank you so much for sharing! These will look great with my Christmas morning Hot Chocolate Bar! Thanks! ooh how very pretty and Hershey’s my fav! Would be cute for placecards with a name wrapped around the handle. Super cute! I’d love some of these to bake with! The chocolate Christmas tree pops are adorable! I love how simple they are to make. The Christmas tree pops are so cute! I’d love to win. I love Hershey’s! What a great giveaway! I could do a lot of fun things with this great prize at Christmas. i love to bake and love hershey’s products! Great giveaway and adorable christmas trees actually came on here to pin it and found the giveaway! yum yum we love chocolate.. the kiddies will love making the trees.. would be super excited if we won the cool cutters and all that chocolate..
What an adorable idea! 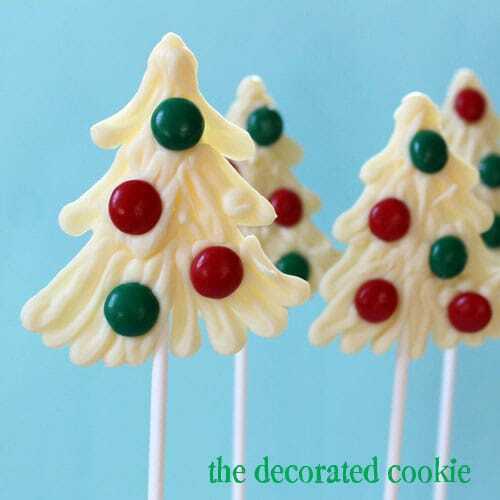 I want to make some of these chocolate trees and use as cupcake toppers! 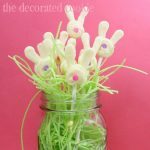 These adorable pops look so yummy and what a fun giveaway! These are super cute and I just have to give them a try! Love it! I’ve got some chocolate candy melts and have been trying to think of fun holiday ideas for them. This is perfect! Love it. My dd will love helping put the mm’s on the trees. Oh! These are so adorable! 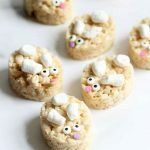 I think these will be on the list of cookies I am going to make this year ! Thank you for sharing! Wishing you well for your little Miracle that will be here soon! Looooove these tree pops! Cute and easy.. the best!! You had me at Chocolate ! The Christmas trees look amazing and sound like something even I could do! Thanks for the great idea! What a fun thing to make with the kiddies…if they don’t eat all of the candy first. I love Hershey’s. They have the best cocoa for making brownies! I love Hersheys!! Thanks for the giveaway! I love the Christmas Tree Pops. Hershey’s products are the absolute best! Easy to work with, high quality, and affordable! Congratulations on the baby, btw. Today is my “baby’s” 18th birthday!! Merry Christmas, everyone. Who doesn’t love Hershey’s! Thanks for the chance to win. Who wouldn’t want a kitchen stocked with Hershey’s stuff? Those trees would make a great edible centerpiece! I love Hershey’s chocolate and your tree pops are adorable. We will be making these this year. Thank you for this giveaway. And who doesn’t like Hershey’s Chocolate?! I’d love to win these goodies. Thanks. What an awesome giveaway! The trees are so cute and easy looking 😀 I have been drooling over those cutters for months now. Months I tell you! I love those cookie cutters and (obviously) chocolate! Did you have a hard time getting the chocolate off the parchment? I’ve tried something like this for Valentine’s day and could not get the chocolate off in 1 piece. I just recently found the Hershey’s Premiere White chips! They are so awesome! Not only are they less expensive, but they have a better over all flavor, better melting point; and are far less “waxy” than the competitor’s brand! I don’t have a blog, but I recently made some Carrot Cake Cookies using Hershey’s White chips and they didn’t last the night! If only I lived closer to Hershey!!! I would love to win this and can’t wait to try the tree pops! I love this, I have a party Sunday, I will be trying these, thanks! Love using these chocolates in lots of my baking. Most recently I made some nice cake pops and used white chocolate for the shell. Wow!!!! Definitely doing this for my Christmas goodie bags!! They look so amazing and easy! Hersheys Chocolate! Brings back so many childhoold memories & I still use it today & am teaching my grandson when he comes out for his “cooking” lessons. Super giveaway….sure hope I win! such a fun giveaway, Thanks! I love this giveaway. Thanks. Those cookie cutters are so cute!!! Ohh man I want everything in the giveaway!! Great giveaway! Good luck with the new baby! I love the Christmas tree lollipops. What a great idea! HI! !Your Giveaway is most gracious!! All that chocolate–*sigh* and the cookie cutters. We could make so much with them. Makes me want to drool thinking about it!!!! I’m praying you’ll have a quick delivery with your baby. thank you for the smart ideas & God Bless You!!!! Those trees are adorable! Going to make those for sure! Kids will love them! I love the Xmas tress you made. I love the Hershey’s cinnamon chips!!! I would love to win this prize!! Love these ideas!!!! So adorable!!!! I love these ideas!! so adorable!!!! I love easy, and everyone loves Hershey’s chocolate! I would love to win this! I would also love to go to Hershey and have the full experience!! Those trees look so fun – and so simple! I’ve failed at chocolate drawing before, but I think I’m going to try again-these are too cute! love the trees. great to add to cookie platters. thanks for the review and giveaway. I cannot wait to make a whole forest-full of Hershey chocolate trees!! Thank you for the instructions! just what I have been looking for to share at the next work party! OOOooo, so much chocolate!! I actually just made some toffee cookies using the Hershey’s Special Dark, I love the bitterness with the sugary sweet. This is such a great giveaway. I use Hershey’s products all the time. Hershey’s is and always will be my FAVORITE chocolate.. These are adorable! Can’t wait to make them! Your trees may be “super simple” or super and happen to be simple! <3 white chocolate <3 Hershey's <3 sweets on sticks and absolutely <3 your blog!!!! 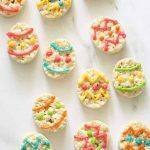 I love these cookies and how you have simplified the recipe! Great job. I love Hersheys! And these trees! What a great giveaway for the holidays! Love this, just what I was looking for to finish off the cookie trays I’ll be making. Thank you, Merry Christmas!!!! I love it! Hershey’s is the best. And what cute Hershey’s kiss cookie cutters! 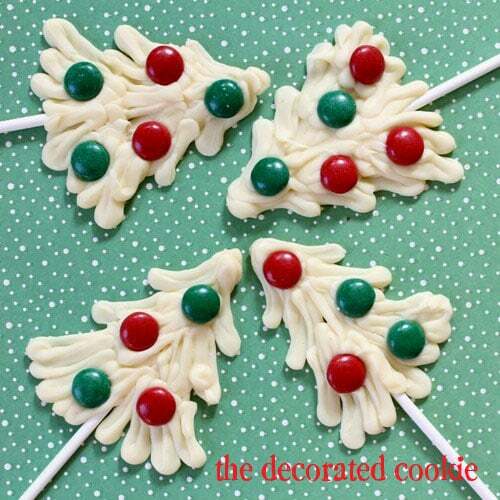 Love this idea…going to make for my daughters Xmas bake sale!! So adorable! Happy and healthy delivery. i thought those cookie cutters were measuring cups. wouldnt that be cool? 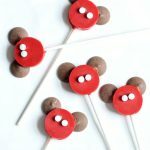 Adorable lollies! I’ll probably give them a try for our family Christmas party. My nieces and nephews will eat them up! What a fun idea! I’m always looking for ideas that are in the category of ‘super easy”. Thanks for sharing.I will try this with my son this year. What an awsome idea!! Always looking for cool and easy things to do with my daughter Hailey in the kitchen. She loves sharing, so u can bet that she will package these trees up to give to family and friends. Thanks for sharing. Cute, cute, cute! I just love them! Those look so easy. I am just starting to get into baking and decorating so I need to start with simple projects. plan on makeing these for the kids in the neighborhood. Hi there, those cookie cutters are so cute as well as the chocolate trees, and so easy to make. I’ll have so much fun making this with my niece. Thank you very much for this awesome treat idea! So looking forward to see how fast these will be eaten up by my family. I looooooove chocolate !! And christmas!!! Hershey’s products are the best! 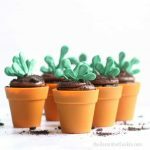 These are such an adorable idea! I will be adding them to my Christmas “Cookie Bar” as edible decorations! The kids will love them. THANKS!! I love how festive these are. Maybe I can convince my sister to make them. These look so easy, but I am definitely challenged. All of you ladies are so talented. Merry Christmas to each and everyone !! I am your newest follower!! The trees are perfect additions for holiday treats! Super cute. I love Hersheys! Just found your site. Great ideas!! Those pops look pretty good! 🙂 Would love to win the Hershey prize! I love the idea of making those little trees! They’re adorable! Love Hershey chocolate. Ready to start baking Christmas goodies. Congratulations on baby number 2! My son and I loved making these trees….they are soooo cute, the boy scouts LOVED them! Just discovering your blog. Love our stuff and loooove Hershey’s. Can’t wait to try the trees for myself and then…eat em! Just wanted to wish you all the best! …and.. these candy trees are adorable! herseys is amazing!. i love their milk chocholate. i love how creamy it is once it mealts. I LOVE these trees! I’m totally into white Christmas trees this year. And these are PERFECTLY piped! these were my first choice to pin on my pinterest Christmas Cookie board. Cant wait to try this at my sister in laws cookie party in December. I know it will be a hit! woops… a year late for the drawing.. Happy Holidays anyway! Brilliant idea. Most everyone loves chocolate. Those trees were a fabulous idea. Thank you Cindy! These are one of my favorites for the holidays. So easy to make, too. So, so cute!!! Great news for the baby. Thanks for sharing !! I’ve been to Hershey, but never stayed at the hotel or did the spa thing. Last year I made tree-shaped cakepops, but heck. This sure looks alot easier! So cute! Thanks! I absolutely love Chocolate and making things out of it. SO MUCH FUN! My kids will luv this for x’mas treat!!! Thank u for the idea. The cookie cutters are adorable! And so are your Christmas Tree pops. They would be perfect for my son’s preschool class! Merry Christmas! These are cute! Not sure I can get the same result but will try! Love Hershey chocolate! Love reading your page and hope to make the trees soon. Love Hershey’s!!! Thanks for the chance!!!!! Now I know what I’m going to do with my leftover chocolate! I use white and green during the holidays! 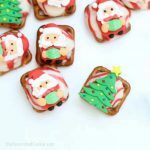 These are adorable and such an easy addition to make for a Christmas party spread! I love the Christmas tree pops. So cute. Thanks for sharing and thanks for the chance to win this great giveaway! I love the trees – definitely going to make them! And congrats on the impending arrival of your little one!! These are fantastically adorable! They look elaborate & fancy, but wow! Easy! Thanks for sharing the idea! Can’t wait to make these trees, thanks! A wonderful way to make Christmas treats!!! I love making treats to share!!! Hershey is the very best, no matter what you use it in. HMMMMMM GOOD! My daughter and I can’t wait to make these. We do goodie boxes every Christmas and this will be added to it this year. Love love love Hershey chocolates!! Can’t wait to make these trees! Thanks for the idea and the chance to win. Thank you for sharing! I make cookie trays for Christmas for family and friends and I use Hershey’s for everything. I will be adding this to the trays this year. I like this idea, I think I’ll try it for my grandkids.